How can you be certain that your information governance is compliant? 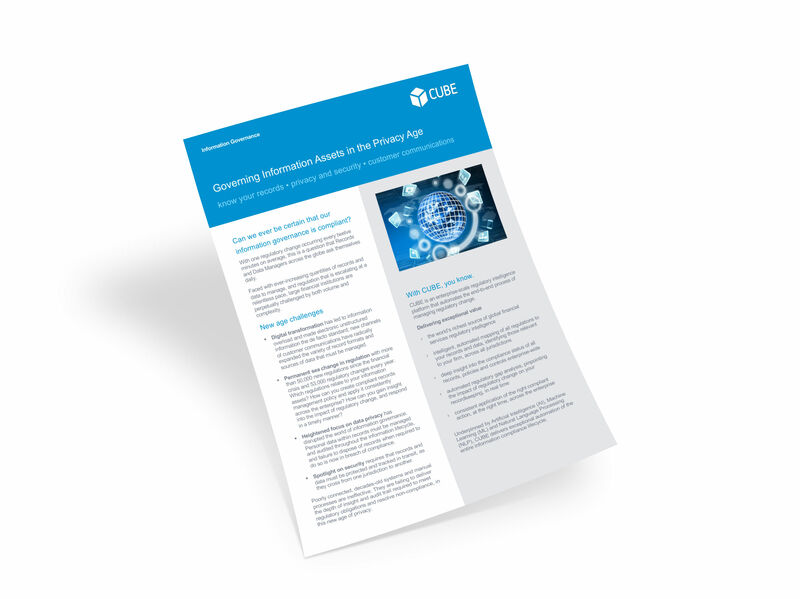 With one regulatory change occurring every twelve minutes (on average), and with heightened focus on privacy and security, the governance of information assets has become highly challenging. Understand how new age challenges are impacting information governance, and why financial institutions around the world are turning to CUBE to ensure compliance. To view the resource, simply enter your details below.